Charging... do not disturb until morning! Ideal bedroom decor for those who need to recharge every night and do not want to be disturbed! 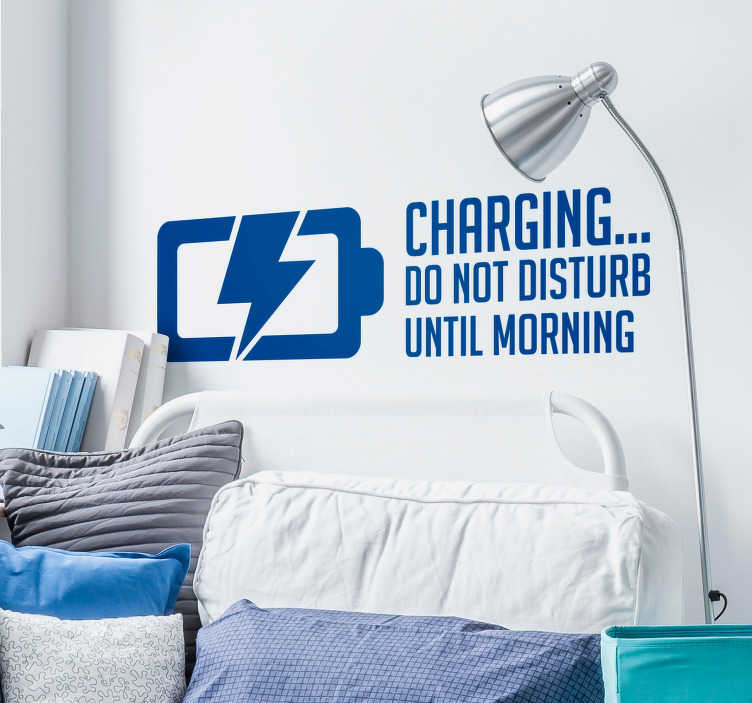 If you are the sort of person who drains their battery empty every day then this might just be the ideal headboard sticker for you!